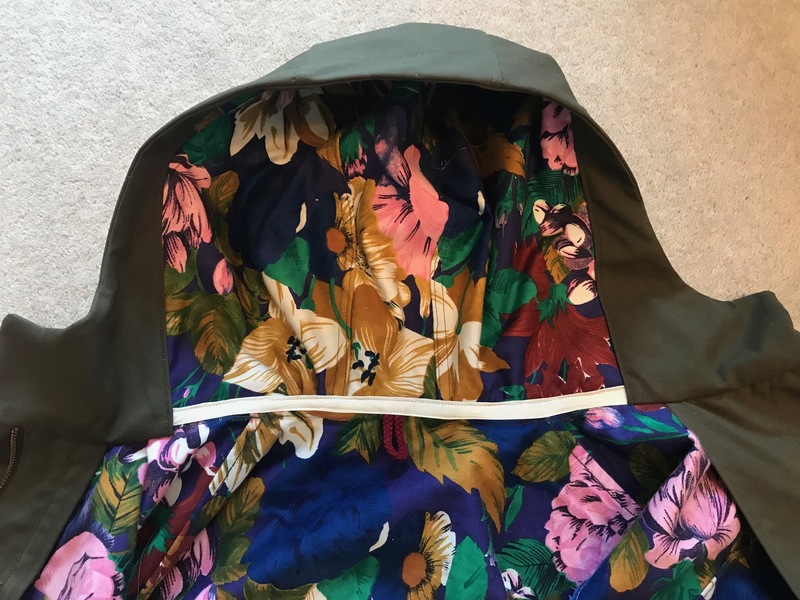 Having seen some awesome pictures of the Closet Case patterns kelly anorak online and realised the immense love for it amongst the sewing community, it was only a matter of time before I had a go at making it. 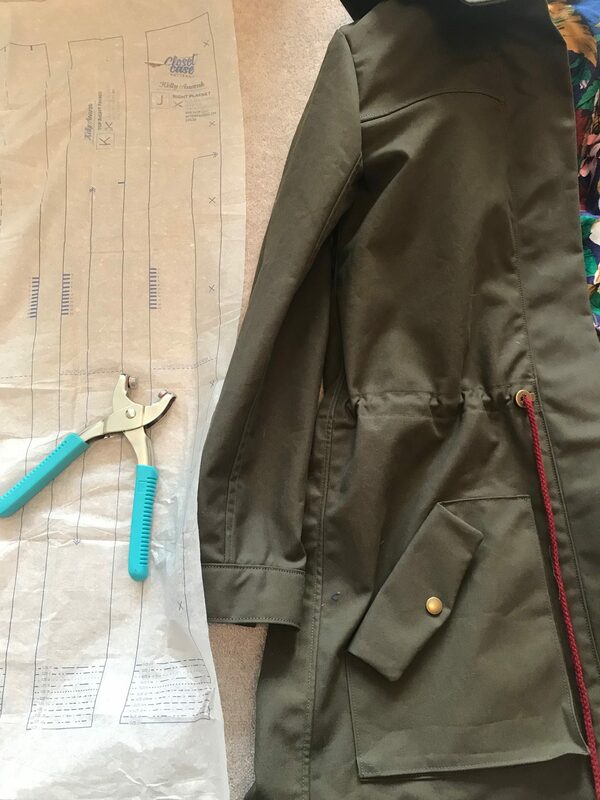 Making a coat seems such a big undertaking though, I was really quite nervous about it! Not only were there lots of techniques I had not used before but also the cost of the project with all of the fabric and hardware etc – there was a lot at stake! I was however really looking forward to getting my teeth into a project and stretching my skills. 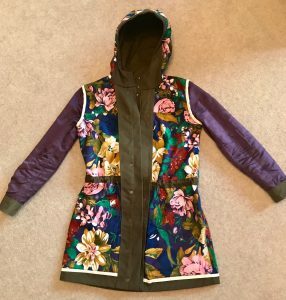 I wanted to take my time with it although it got to the point where time was getting on and the colder weather was approaching so I needed to get a move on before it was too cold to wear! 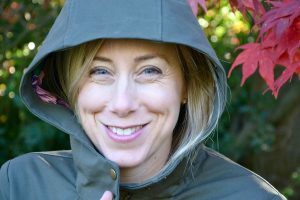 There are 2 versions of the anorak – version A which is what I chose that has a hood and version B is with a stand up collar. For either version you can choose the optional drawstring waist. 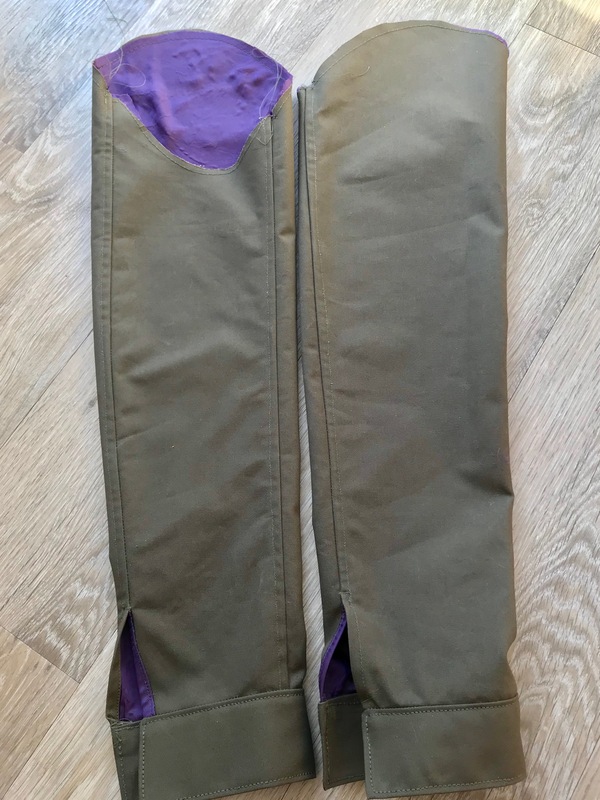 I prefer a garment with a nipped in waist to give me shape so I opted to include the drawstring waist. This is quite a meaty account of my anorak as I wanted it to be a record of the process and hopefully useful to anyone who is contemplating making one. 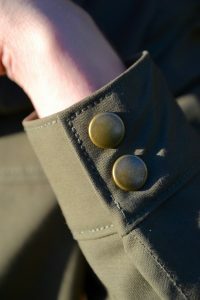 So before I go into the details here is a piccie of my finished coat – I can’t make you wait that long!! 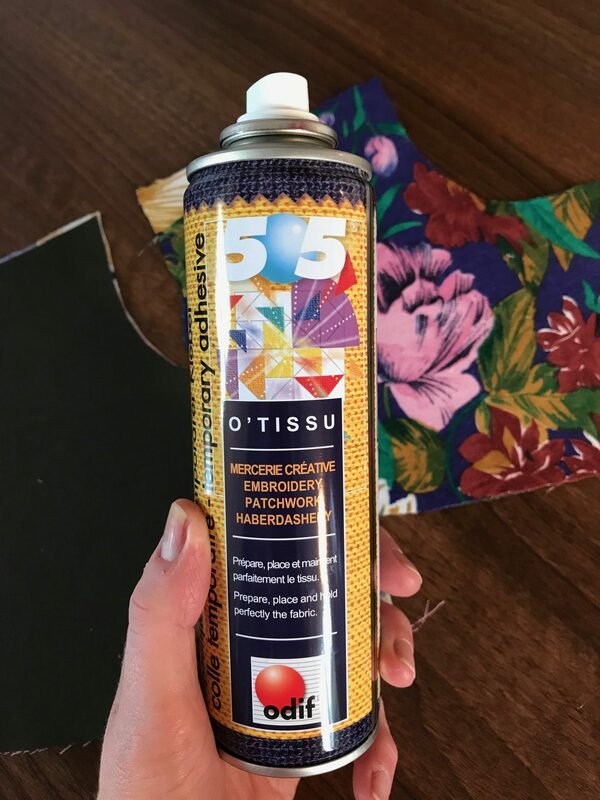 Having done my research through browsing other people’s versions for inspiration, studying the pattern and fabric/notions details, I decided to take the plunge and visited the fabulous Guthrie and Ghani haberdashery to source some supplies. 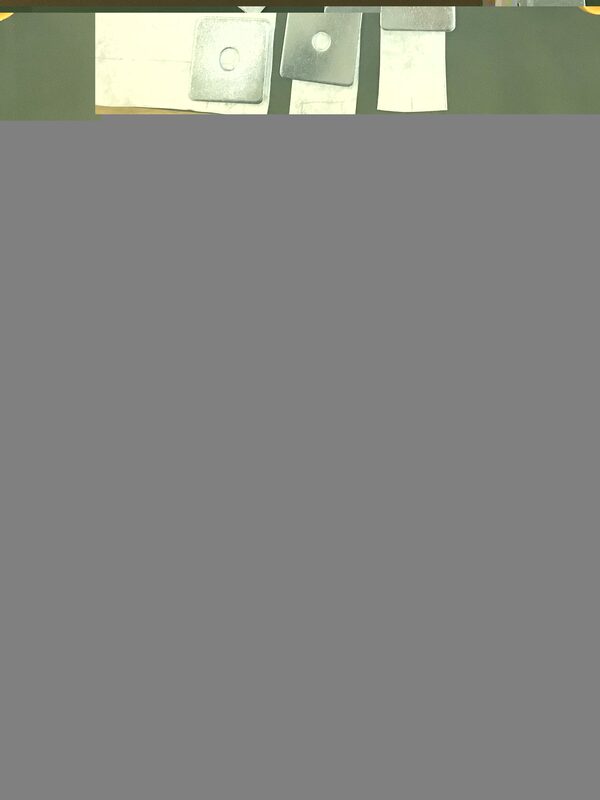 Just look at the gorgeous pattern envelope – I love the illustrations. So fresh and modern. 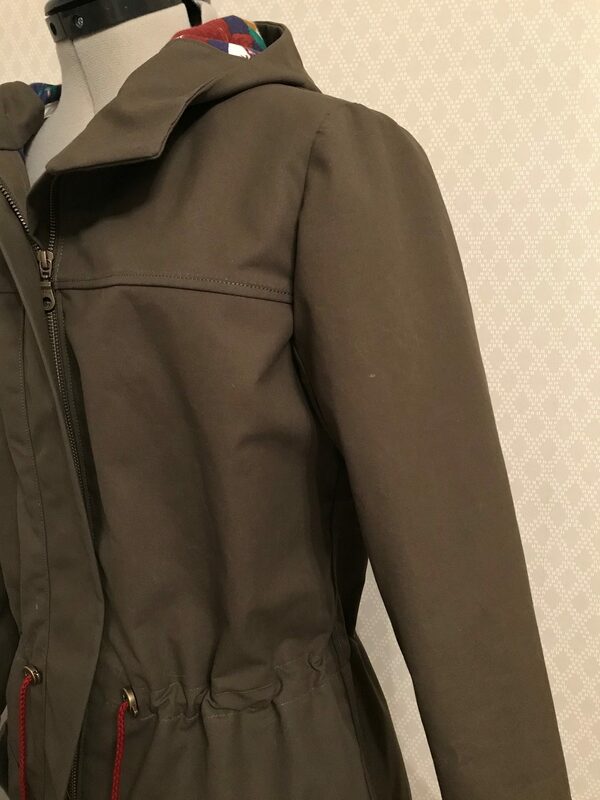 For the main coat fabric I chose a millerain khaki green waxed cotton which is showerproof. 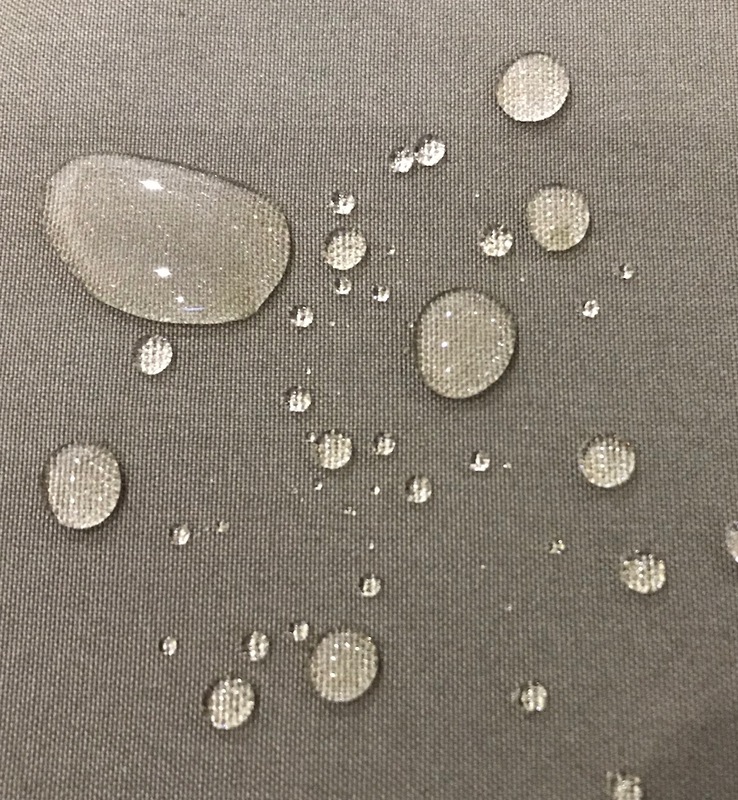 You can see how the water reacts on the sample of fabric below. You don’t have to line the coat but I wanted to add a pop of colour/contrast to the inside. 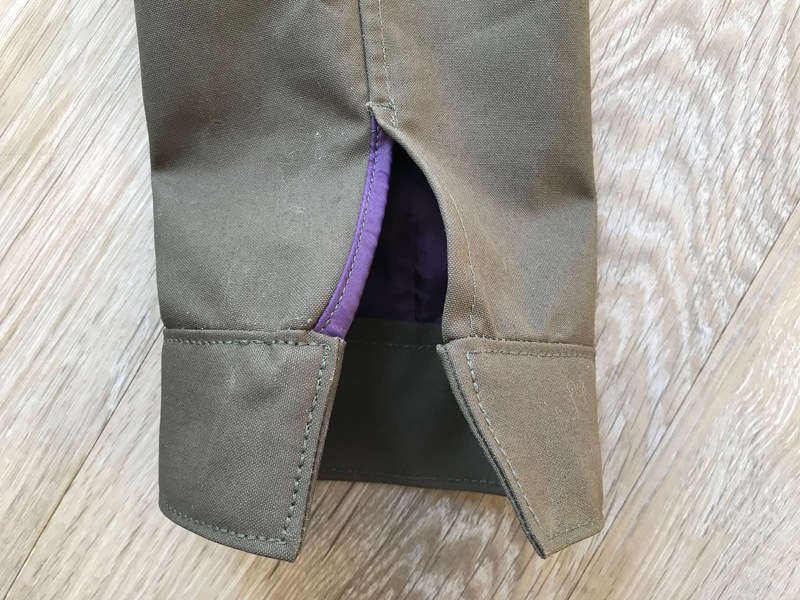 Instead of doing a full lining which I wasn’t really brave enough to do, I opted for an interlining which basically means that you still see the seam finishes inside but you get the look of a lining. 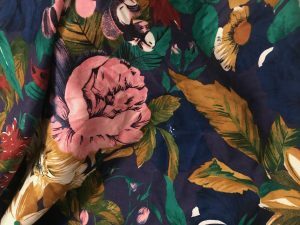 For this I chose a gorgeous floral brushed cotton from Minerva Crafts . 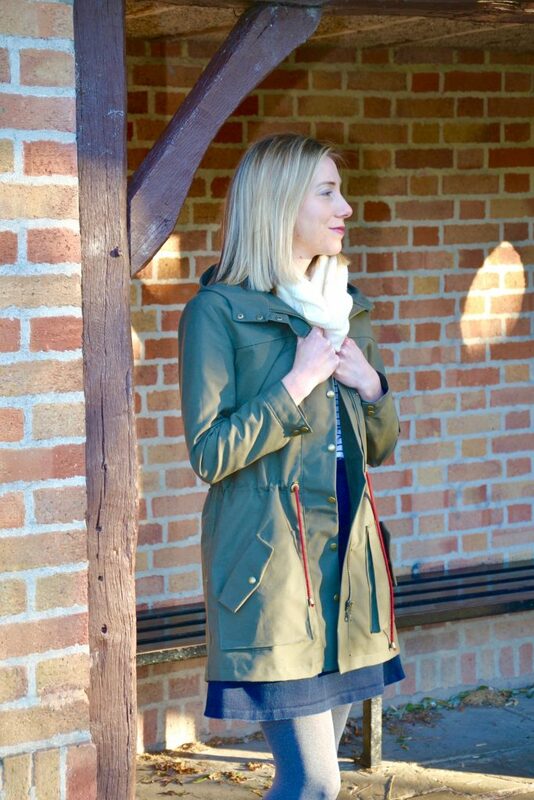 I love the contrast between the outer and inner fabrics and it makes the khaki coat feel much more feminine. 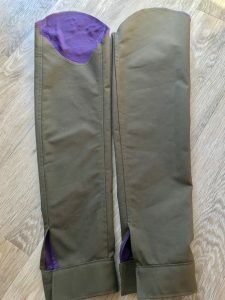 I lined the sleeves with a purple satin fabric from John Lewis – this would make getting my arms in and out of the sleeves a lot easier, rather than using the brushed cotton for the sleeves aswell. 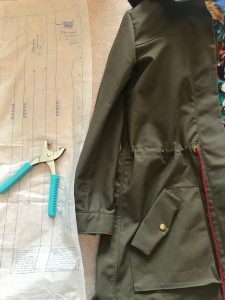 In order to underline the coat, I cut out the pattern pieces that required the lining and then used a temporary basting spray to adhere the two pieces together – putting wrong sides together. I then basted around the edges of the pieces and from then on just treated the 2 layers as 1 piece. Nice and easy, if a little time consuming! 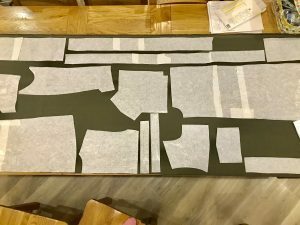 The cutting out of the pattern pieces took a while – there were 18 pattern pieces in total!! 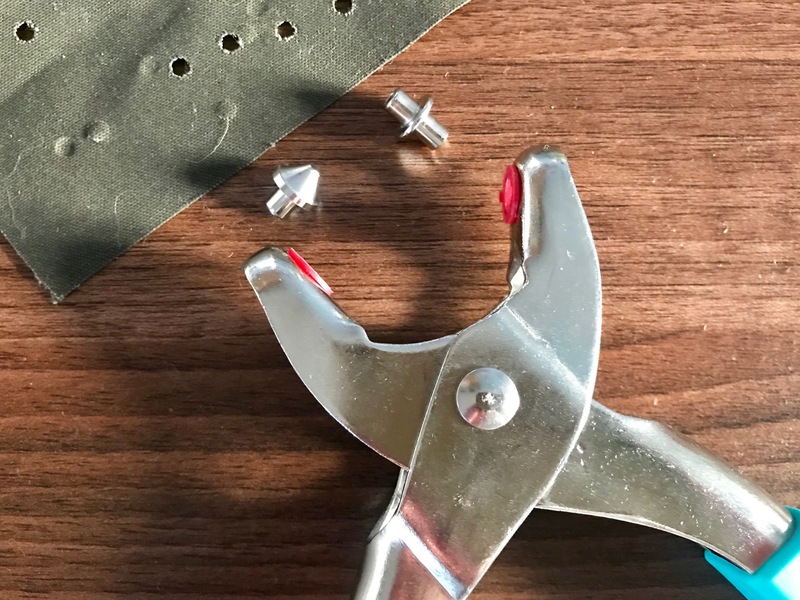 I didn’t want to use lots of pins in the fabric unless I absolutely had to, so opted for pattern weights instead (aka oversized washers from the hardware store!). 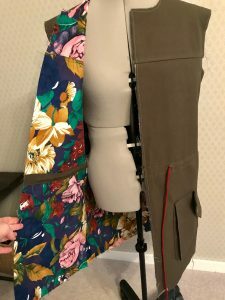 I decided to lengthen the bodice pieces by 4″. 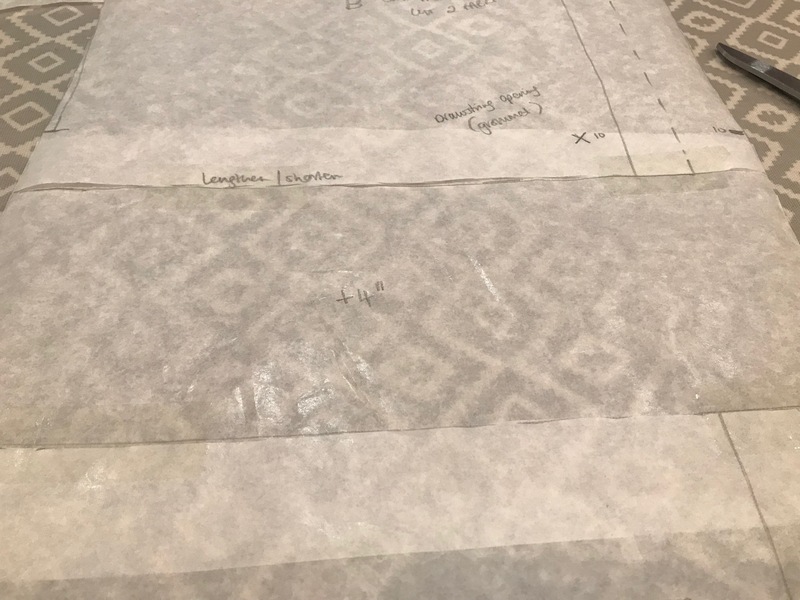 The pattern is drafted for someone who is 5’7″. I am a couple of inches taller than that and really wanted it to be a decent length to cover my bottom and keep out the drafts! 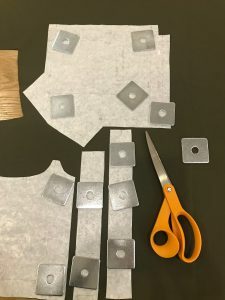 If you lengthen the bodice pieces you need to remember to lengthen the facings and placket pieces too. 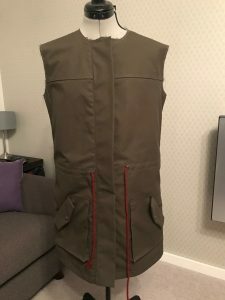 There are also quite a few pieces that require interfacing applied so you get the idea that there is a lot of preparation involved before you even get near to the sewing machine!! The instruction booklet that comes with the pattern is good and really detailed with some great drawings but some stages of the coat are a tad involved and I got a bit confused as to what you had to do!! 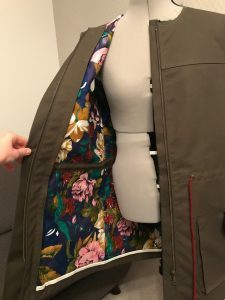 I have to say the sewalong that Closet Case patterns have done is AMAZING and would highly recommend it to anyone contemplating sewing the anorak!! It breaks down the stages really nicely, I found it sooo useful and referred to it a lot throughout the construction process. 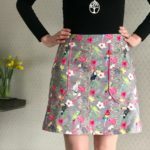 The photographs are really clear and they have added a couple of extra instructions and top tips since the pattern was published. There is also a guide to adding a lining if you choose to sew a lined version. 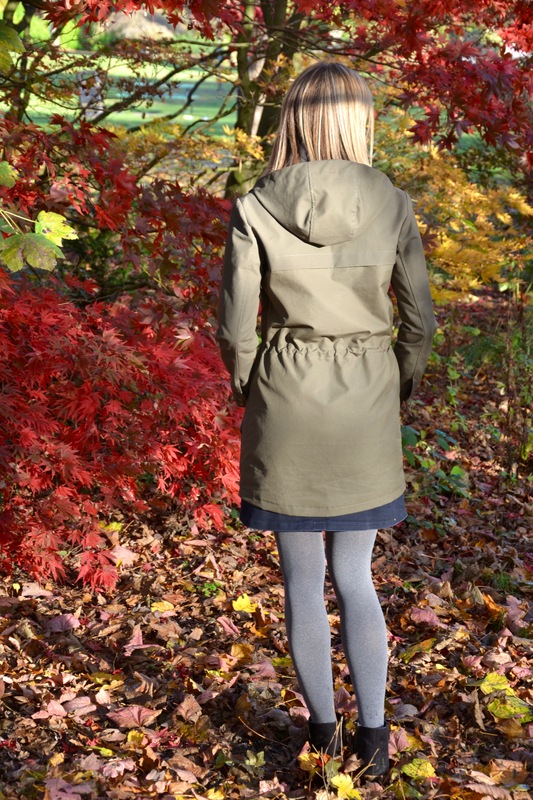 The coat is constructed with a lot of flat felled seams. 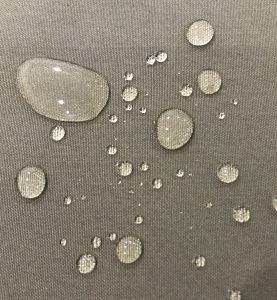 These are strong seams that you get on the inside or outside leg seams of jeans. Not only are they strong but they also conceal the raw edges of the seam inside making it lovely and neat from the inside even if you choose not to line the coat. 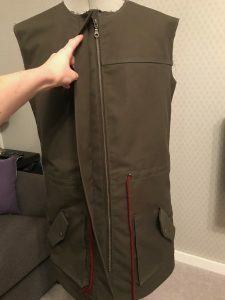 After assembling the back and front coat pieces it is time to make the gusseted pockets. These are clever!! Plenty of room inside these babies! 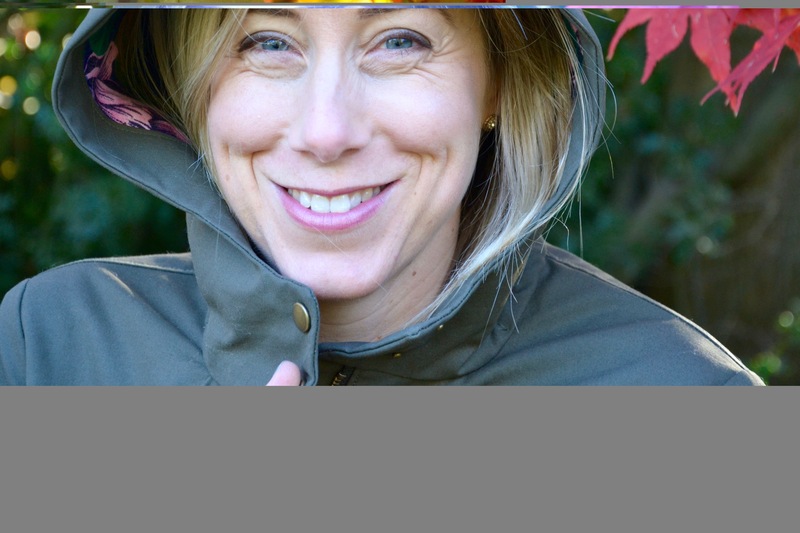 The construction of the pockets is one thing but then you have the first installation of anorak snaps!! 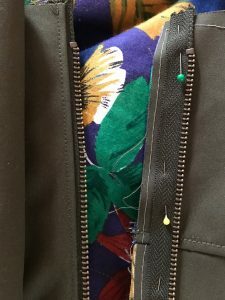 It is much easier to insert the snaps before sewing the pockets to the coat. This was a new technique for me so took rather longer than expected!! 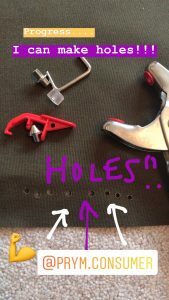 You can install the snaps using the gadget included in the snaps packet plus a hammer and awl. 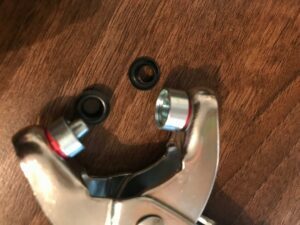 I had read however, that installing the snaps was made a lot easier with a pair of variopliers so I bought a pair at the same time as buying other bits of hardware from Guthrie and Ghani. They are made by Prym who also make most of the hardware I used. 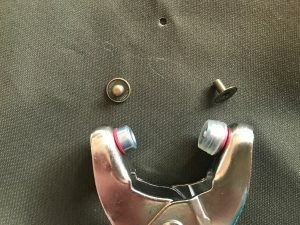 You also use the pliers to insert the eyelets/grommets for the drawstring cord to enter/exit the coat. Fortunately there were extra snaps/grommets than I needed in the packets which meant some opportunity to practice. I just didn’t have a clue how to use them to start. 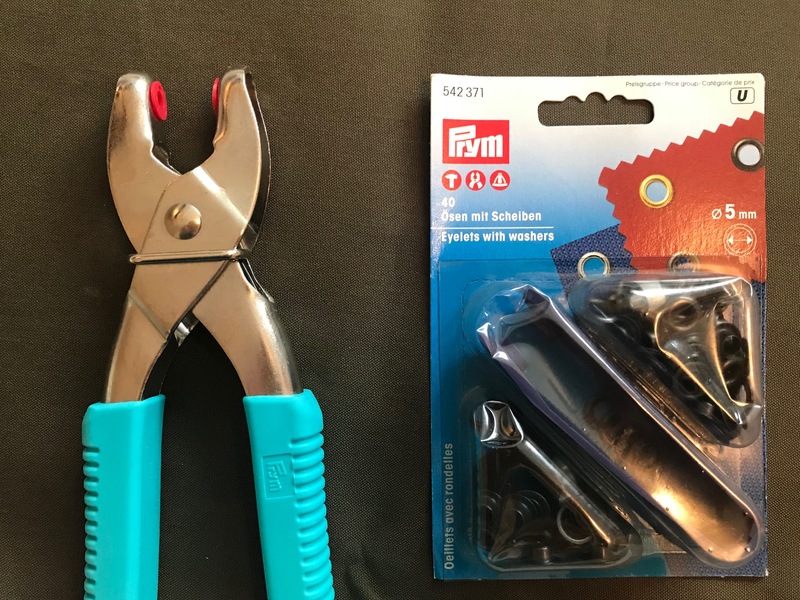 The fact that I had bought the pliers in addition to the gadgets supplied with the snaps, meant that I had a lot of different attachments for the pliers and just didn’t know which to use when!! 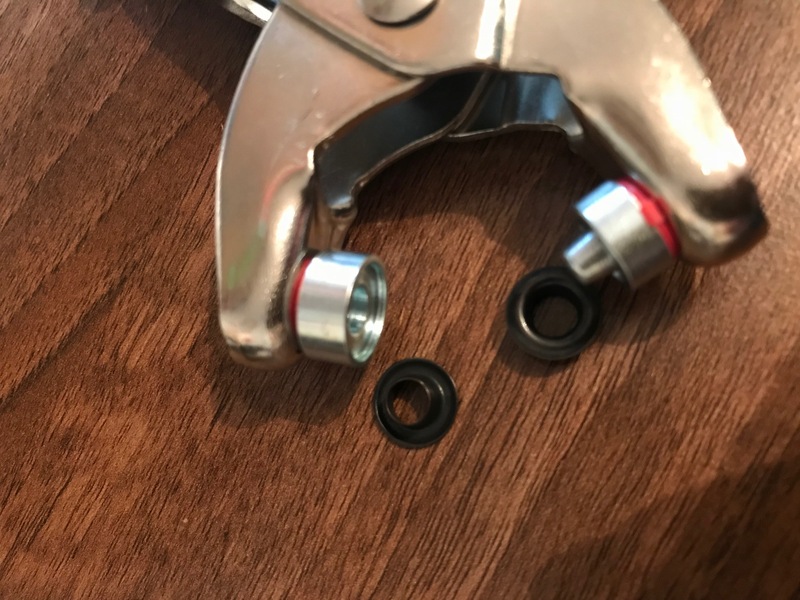 I couldn’t really fathom it out from the instructions or manufacturer videos and so I did Google the pliers for tutorials/instructions but really struggled to find anything really comprehensive. After a lot of practice and using the sewalong I did work out which I needed to use when and so took photographs of the attachments I needed for inserting the different components of the snaps and grommets. After the pockets are attached to the coat and the front and back pieces are sewn together, the coat starts taking shape and it starts to get exciting!! 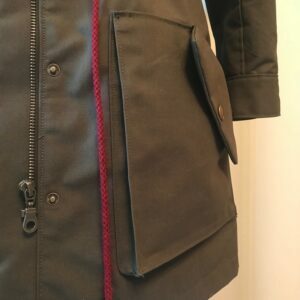 What wasn’t so exciting was realising that after having got very excited about being able to insert the grommets, for some reason ( I think due to a late night sewing session), the 2 eyelets on either side of the coat do not line up properly. Arrrggghhh!! The problem is once you have made that hole, there is no turning back. I was gutted that they didn’t line up. But hey, then I thought life is too short to worry about something like that and would just have to accept it as one of the quirky features of the coat!!! 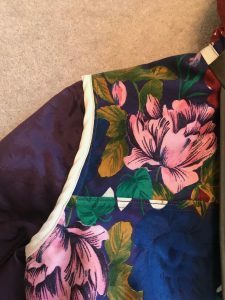 The drawstring cord is a wine colour and really picks up the reddish flowers on the lining. This was from Guthrie and Ghani too from a roll they had in the shop. 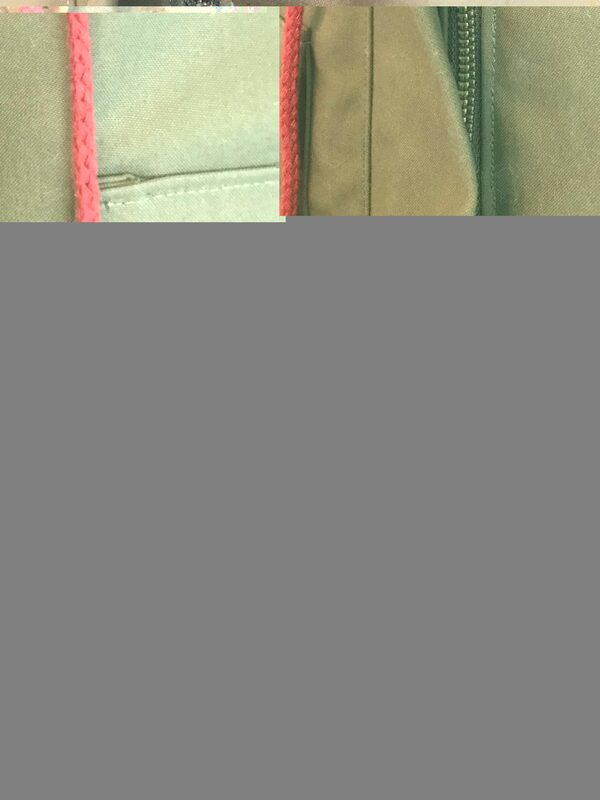 I thought sewing the zip in would be hard as I had never sewn a metal zip in before. 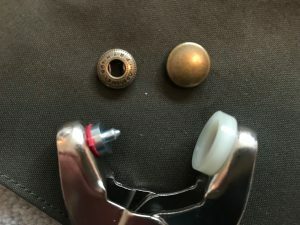 However as it is an open ended zip, it went in like a breeze! Fabulous instructions from Closet Case patterns made it really a case of just following the steps. The pressure on myself to make the second side match the first though was quite immense, especially with the eyelet issue! But it was bang on – yay!!!! When the front placket went on it was really starting to look like a proper coat!!! I decided to finish the hem edge off with a cream bias binding which I am so pleased with. It really highlights the hem edge, lifts the inside and picks up the cream flowers of the lining fabric. 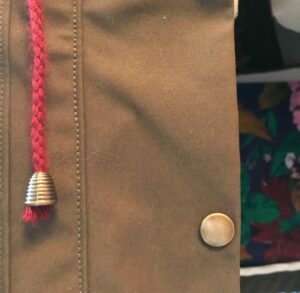 Additional hardware can be used for the drawstring which are not only practical but really gives it a professional finish – I chose antique brass cord stops from Raystitch and antique brass cord ends from Abakhan. The hood came together nicely and I love how you see the lining of the hood as when you wear the coat, this is the only part of the lining you see. 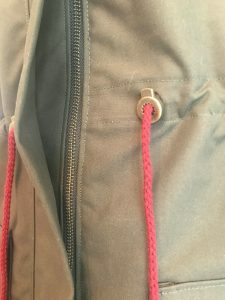 I concealed the raw edge of the neckline seam with the same cream bias binding that I used for the hem and I also added a hanging hook using the same cord I used for the drawstring. This really was now coming together and all I had left to do was the sleeves! 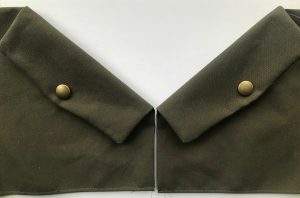 I managed to flat fell both top and bottom seams of the sleeve which was a challenge doing the second one! It wasn’t essential to do the second seam in this way but I was up for a challenge and I do so love the look of the flat felled seam. The cuffs were also a bit meaty to say the least!! I was so glad to get them finished!! Love the peep of the lining you can see on the cuff extension! I decided to add two snaps to each cuff – I had some spare so why not??!! I finished the underarm seams off initially by overlocking them and could have left it like that. However it also suggests in the sewalong that you can finish off the seam with binding so I couldn’t resist doing that as had some left. I love, love, love how they match the neck seam and hem to bring it all together! So in love with this!!! 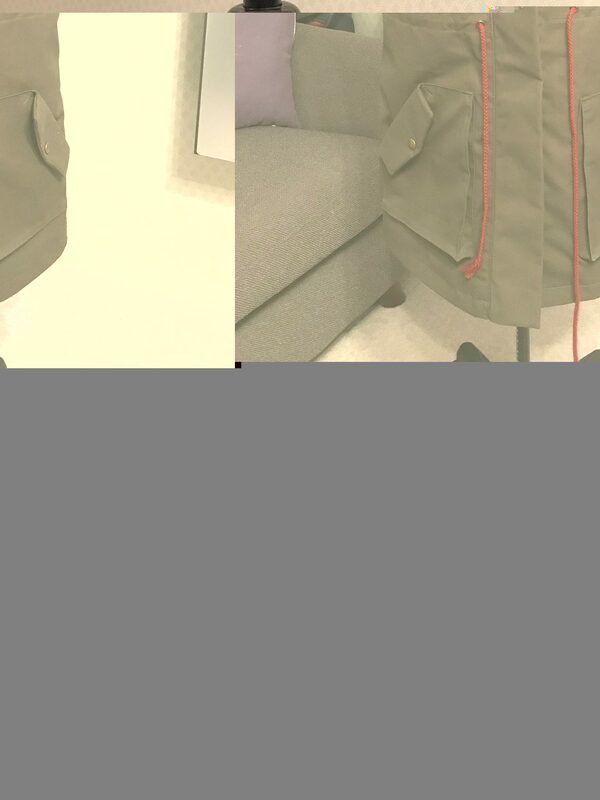 The final stage was inserting the snaps along the front right placket and hood extension. I REALLY REALLY concentrated for this part and even learnt my lesson from before and saved this step for the next day as opposed to starting it later in the evening!! I do learn sometimes!! So after all that I was so excited to finally wear my coat. The autumnal colours of the trees were perfect for taking some snaps. Here it is in all it’s glory…..!! So there we have it!! 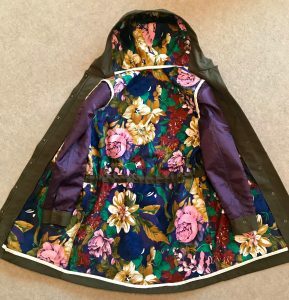 My finished coat. The only thing moving forwards is that the sleeves are a teeny bit too short on me. 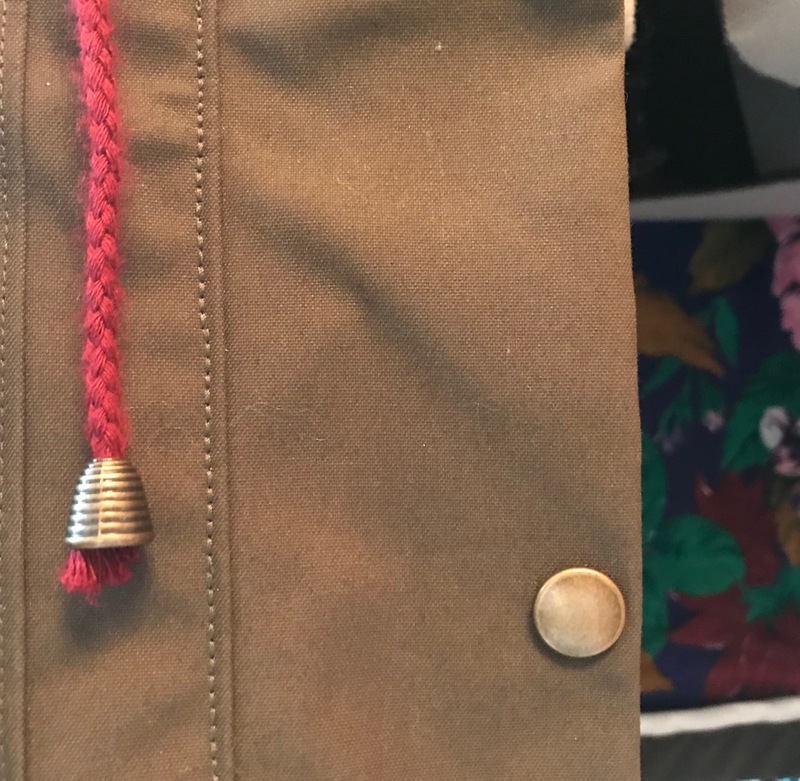 I had a little thought after looking at one of my shop bought coats, that I could try to insert some cuffing inside the cuffs to extend the sleeves and also add a little bit of cosyiness at the ends. I have found some cuffing so will post some pics when I’ve done it!! I hope you have enjoyed looking at the piccies and reading about it (well done if you have got this far!!) 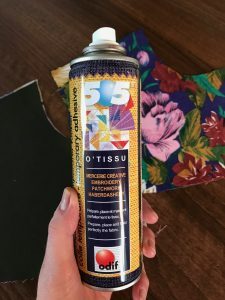 and if you are thinking of making the coat then I hope you may have found some of this useful!! I have so enjoyed making it and am already loving wear it out and about!! I totally agree, love the pattern a lot. 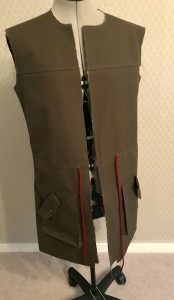 I have completed in one day a wool coat mainly sewing together with an over locker. This would be a brilliant course and subject matter to cover as well. Thanks Susan for your comment and your suggestion. 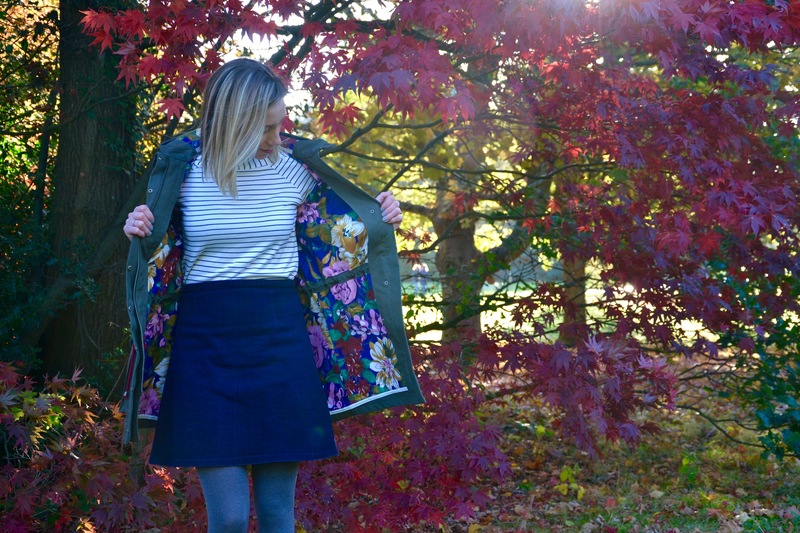 A wool coat sounds gorgeous! Wow! Lorna your coat is gorgeous! Fab!! Well done you! 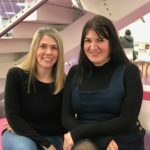 A great blog too! I recently bought the Prym pliers (which are brilliant) but like you had difficulty working out how to use them! Our pics are helpful. Thanks Carol. Once you get the hang of the pliers they are amazing aren’t they?! Let’s put snaps in all the things!! 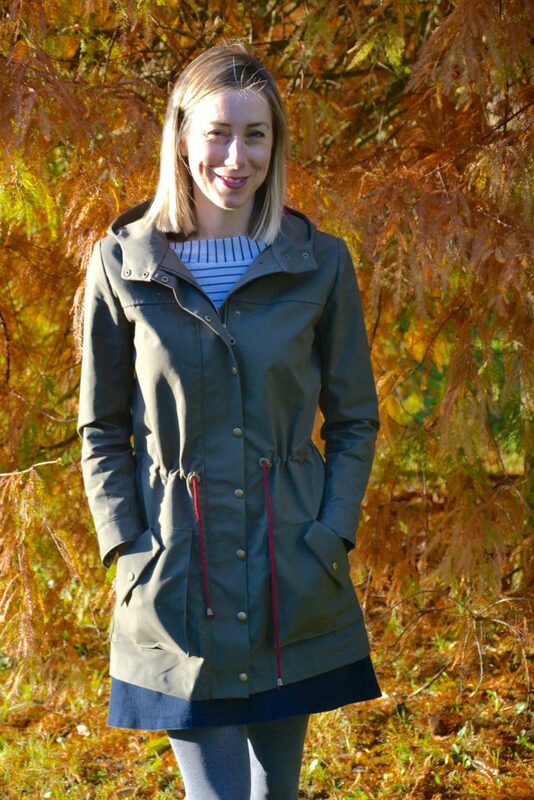 The coat looks fabulous Lorna. 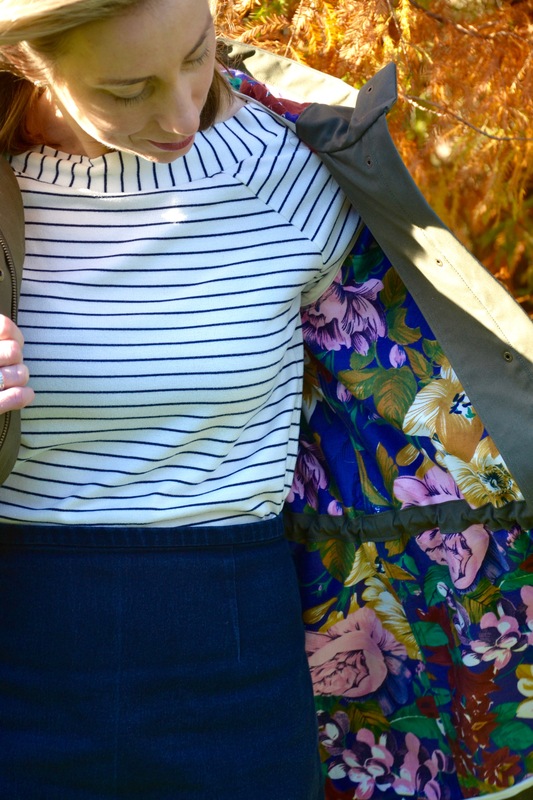 I love the fabrics and finishings you have used to create this wonderfully stylish and practical garment. 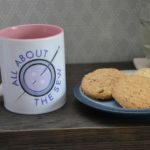 Hugely inspirational to all of your sewists although I shan’t be tackling anything quite so complicated. Thank you for the very clear article and photos. The greatest lesson there is about how much time we need to invest in the preparation, not only st the beginning, but at every step. 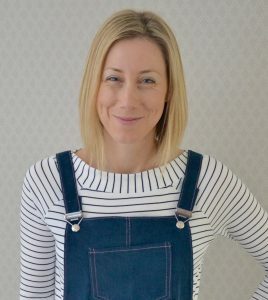 Thanks so much Jeanette, that is definitely one of my goals – to inpsire people with ideas and that as long as people keep progressing their skills, they too can do the same. And yes preparation, preparation, preparation!! What an achievement I keep dying up this pattern but would have to grade several sizes up which is putting me off at the moment. Thanks Maxine 🙂 Yes that sounds complicated – I wonder if there is another company that do a similar pattern, it is such a good one. 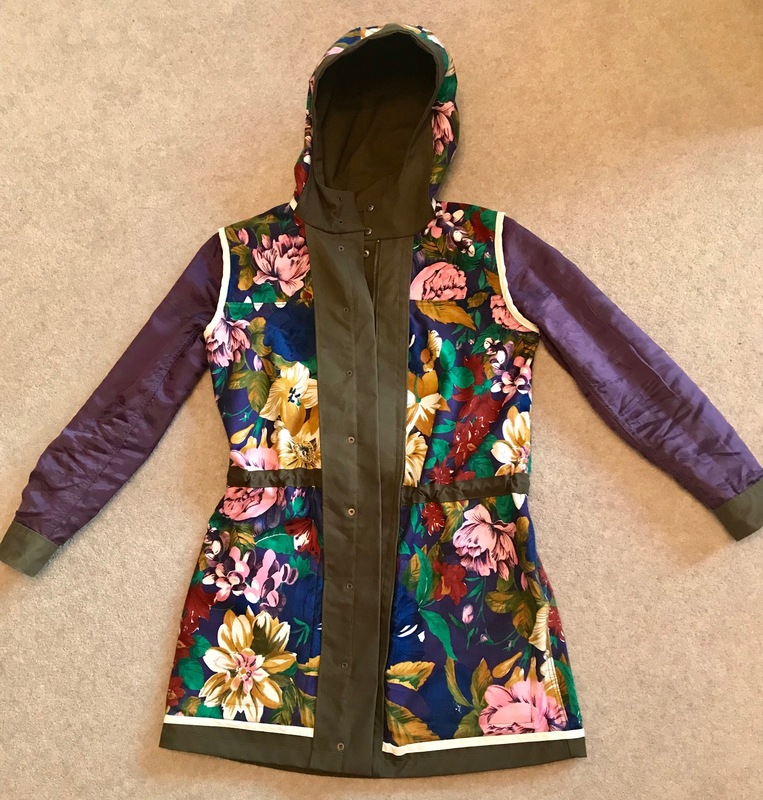 Hi Lorna, you did a great job on this jacket! 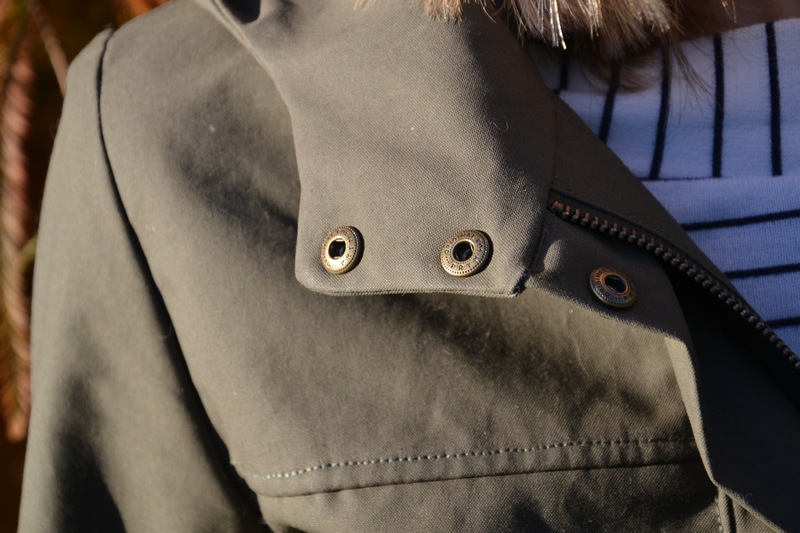 Love all the details and the contrasting lining is fabulous, I love this in a coat. Great fit too! Enjoy it!